Jerusalem Watch | Looking for that Blessed Hope! Trump officially recognizes Jerusalem as Israel’s capital, orders US embassy move. So what does this mean for Christians? Quite simply, it means the return of our Lord is that much closer and we should be in prayer for Israel. 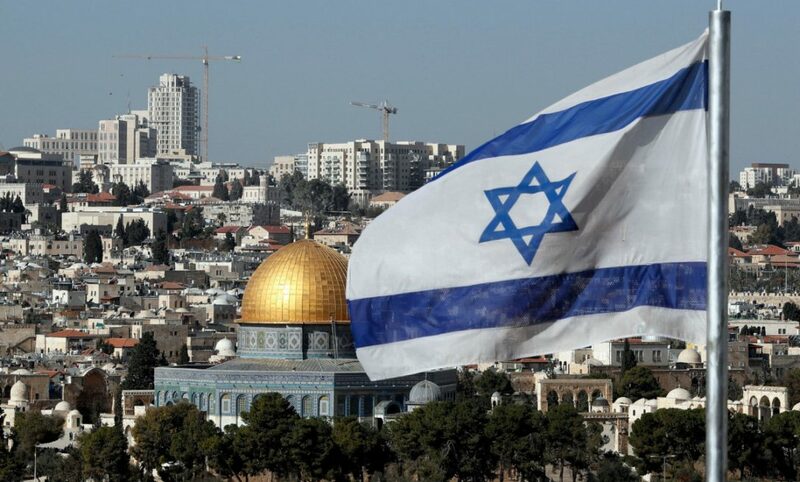 Jerusalem Watch – The Embassy Move? We have been following the story of Trump’s promise to move the American Embassy to Jerusalem essentially recognizing it as the capital of Israel. Tomorrow we shall see if he makes good on his promise. 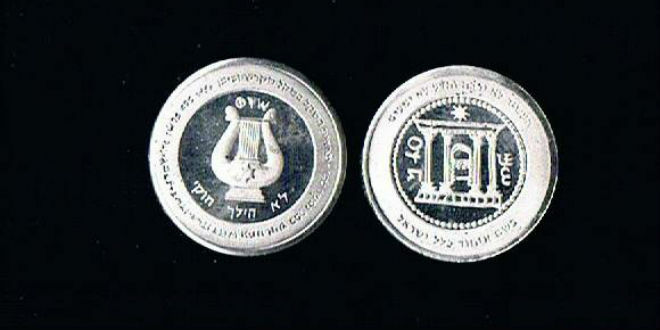 On the 25th of Kislev in the year 139 BC, the Maccabees liberated the Holy Temple in Jerusalem, after defeating the vastly more numerous and powerful armies of the Syrian-Greek king Antiochus IV, who had tried to forcefully uproot the beliefs and practices of Judaism from the people of Israel. The victorious Jews repaired, cleansed and rededicated the Temple to the service of G-d. But all the Temple’s oil had been defiled by the pagan invaders; when the Jews sought to light the Temple’s menorah (candelabra), they found only one small cruse of ritually pure olive oil. Miraculously, the one-day supply burned for eight days, until new, pure oil could be obtained. In commemoration, the Sages instituted the 8-day festival of Chanukah, on which lights are kindled nightly to recall and publicize the miracle. Despite Arab threats, thousands march around Old City walls, marking beginning of Tisha B’Av. Jesus is the only solution, and one day He will come for His people. The prophetic landscape has been relatively calm since the election of November 2016. The world stock market economies are flourishing and the world “seems” to be on the road to recovery, at least on the surface that is. But we know beneath the endless mirage of pomp and show is a swirling pit of destruction, slowly but surely coming to fruition. It seems we are quickly running out of time and something big is coming very soon; should it be the Rapture or a large prophetic fulfillment, time will tell. Whether we see prophecy unfold on this day or in the near future, it is important to know that historically the 9th of Av has been a day of judgment against Israel. Below are the details from a previous post. After Moses sent 12 spies into the land of Canaan, the spies return on the eighth day of Av and report that the land is unconquerable. That night, the 9th of Av, the people cry. They did not believe that God could help them, and the people as a whole were persuaded that it was not possible to take the land. As a result, the entire nation was made to wander in the desert for 40 years Numbers 13, 14. The First Temple was destroyed on the 9th of Av (423 BCE). 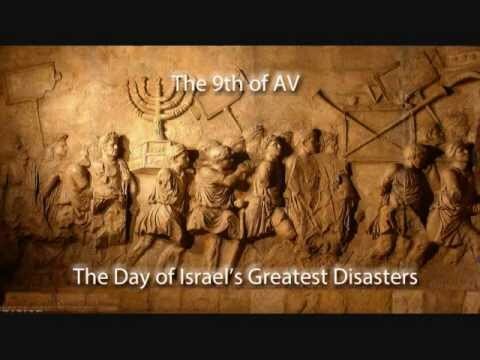 The second Temple was destroyed on the 9th of Av (68 CE). Betar, the last stronghold in the heroic Bar Kochba rebellion, fell to the Romans on the 9th of Av of the year 3893 (133 CE) after a three-year siege. 580,000 Jews died by starvation or the sword, including Bar Kochba, the leader of the rebellion. The Jews of England were expelled by King Edward I on the 9th of Av in 1290. The Jews of Spain were expelled by King Ferdinand and Queen Isabella on the 9th of Av of 1492, terminating many centuries of flourishing Jewish life in that country. World War II and the Holocaust, historians conclude, was actually the long drawn-out conclusion of World War I that began in 1914. Germany declared war on Russia, effectively catapulting the First World War into motion, on the 9th of Av. Ironically, even though the Temple mount belongs to Israel, the actual temple was most likely in the City of David a few hundred feet below the disputed mount. Thanks to my watcher friend Jason, attached is an excellent video that provides overwhelming evidence for the real location of the temple and resolves the issue of how Israel will be able to build the coming temple. In another prophetic move, Putin signs Syria base deal, cementing Russia’s presence there for half a century. And… “An artificial intelligence system being developed at Facebook has created its own language. It developed a system of code words to make communication more efficient. Researchers shut the system down when they realized the AI was no longer using English”. You may remember how almost 1 year ago the “Arab leaders have decided to agree on the principle of a joint Arab military force“. Now, in the face of the Trump administration’s promise to move the American embassy to Jerusalem, the Arab League have “adopted a resolution Tuesday against any attempt to move diplomatic missions to Jerusalem, following Donald Trump’s presidential campaign pledge to move the American embassy in Israel”. 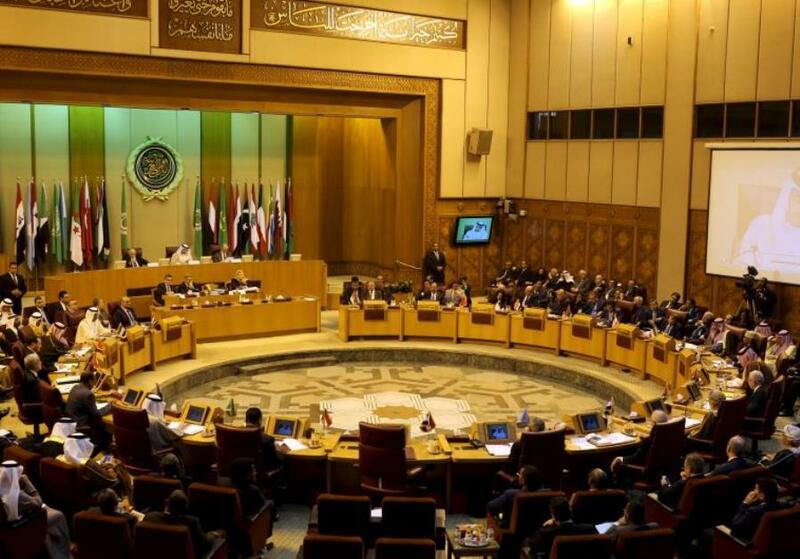 The Arab League has also warned “US Embassy move is ‘serious threat to world peace”. Meanwhile, preparation for the new temple is continuing to forge ahead. The nascent Sanhedrin is setting out to reinstate the Biblical Temple forest as part of their ongoing effort to bring the Third Temple into existence and has already begun planting around Israel to provide the agricultural needs of the Third Temple. Rabbi Hillel Weiss, spokesman for the Sanhedrin, explained that the Temple was central to Israel as an agricultural nation strongly connected to its land. The Temple provided a link between the land, and the Divine. And finally, there are “Biblical sheep in Israel for first time in millennia”. 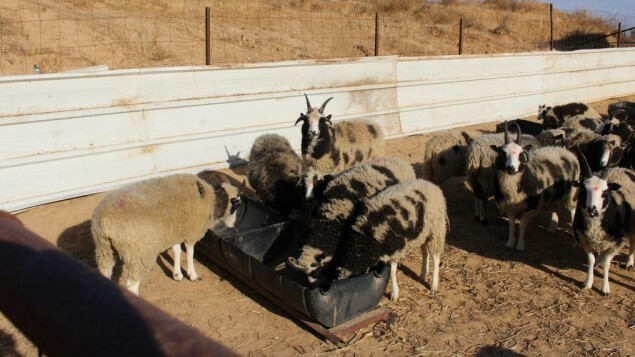 After three years of high-level negotiations between the Israeli and Canadian governments, 119 heritage sheep, which trace their lineage back 5,000 years to the Middle East, began arriving in Israel on November 30. It is the first time that the breed, called Jacob’s sheep, has been represented in Israel since biblical times. Make no mistake, Jerusalem will belong completely to Israel and the 3rd Temple will be built. There are many prophecies yet to be fulfilled that will bring this all to fruition. 2 Beautiful for situation, the joy of the whole earth, is mount Zion, on the sides of the north, the city of the great King. 3 God is known in her palaces for a refuge. 4 For, lo, the kings were assembled, they passed by together. 5 They saw it, and so they marvelled; they were troubled, and hasted away. 6 Fear took hold upon them there, and pain, as of a woman in travail. 7 Thou breakest the ships of Tarshish with an east wind. 8 As we have heard, so have we seen in the city of the Lord of hosts, in the city of our God: God will establish it for ever. Selah. As mentioned in the “impetus” post, the move to make Jerusalem capital of Israel has begun. Senate Republicans introduced a bill Tuesday to recognize Jerusalem as the undivided capital of Israel and move the United States embassy to Jerusalem. The controversial plan, which President-elect Donald Trump repeatedly voiced support for on the campaign trail, is almost certain to further inflame tensions between Palestinians and Israelis.